A dental emergency is any oral health problem that requires immediate dental treatment to save a tooth, stop ongoing tissue bleeding, or alleviate severe pain. Immediate action for a dental emergency reduces the risk of permanent damage including tooth loss and lowering the risk of extensive tooth repairs in the future. If you or your child plays contact sports, the best way to prevent a dental emergency is to have your dentist make a custom mouth guard. Pain is a signal your body sends you when something is wrong. Do not ignore painful teeth and gums and seek emergency treatment for your symptoms. The sooner you get emergency dental services, the better your chances of saving a tooth. During the initial emergency dentist appointment, your dentist will treat the initial problem and most likely schedule you for follow-up treatment. Not sure if you have a dental emergency? Check out the chart below. Your first step should be to call your family dental practice and set up an emergency appointment. The schedule will be rearranged to get you seen as soon as possible. If you are unable to contact your Troy dentist, go to the nearest emergency room for treatment. Below are steps you can take for different tooth emergencies while waiting for medical treatment. Hold tooth by crown (top), not roots. Otherwise, you could damage the roots and make it impossible for the dentist to put the tooth back in. Carefully rinse debris from tooth. If possible, gently place tooth in its original socket. The tooth may be held in place with your fingers or by gently biting down. If unable to place tooth back in mouth, submerge the tooth completely in milk to keep moist. Teeth that are allowed to dry out can fracture if not kept moist. Call your dentist for emergency dental care. Save all pieces of broken tooth. Rinse mouth carefully with warm water. Apply cold compress to the affected area to reduce pain and swelling. Seek emergency medical care. If you have a dull toothache, don’t be alarmed. It’s not uncommon for food particles to get stuck between teeth to cause pain or gum irritation. Rinse with warm water, and then gently floss between the affected teeth to remove debris. If the pain persists, schedule an appointment with your emergency dentist. Dr. Kelly M. Giera DDS at Mosaic Dental has experience helping patients restore smiles after sports dental injuries, toothaches, and more. 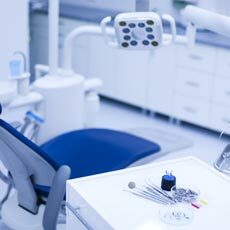 If you ever have a dental emergency, be sure to call our Troy emergency dentist at (248) 528-2270.